As new classes of technology professionals continue to emerge, generalizing trends in Errors and Omissions (E&O) insurance coverage has become more difficult, and elements of E&O coverage have become more specialized. Aon experts can ensure that you have the right E&O coverage for every aspect of your business. E&O, also known as professional liability insurance, is the core of an effective technology risk management strategy. We can help you identify your specific exposures and structure a cost-effective, customized insurance program solution, which includes the appropriate type and limits of E&O insurance. 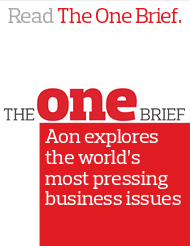 Aon&apos;s E&O specialists&apos; are experts in a variety of disciplines, including insurance, technology and legal. We perform both client-facing and syndication functions. This allows us to effectively analyze and identify your exposure, design professional liability insurance solutions and assist you with every step of the underwriting and claims process. For more information about Aon errors and omissions insurance, please contact us.